Threod Systems participates in the EW Live 2019. It is a three day live electronic warfare equipment demonstration event. 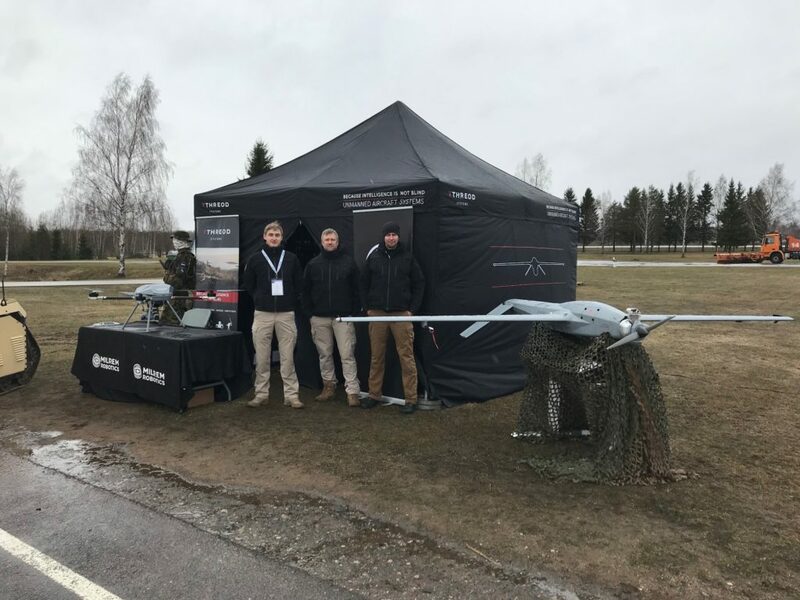 Held at Tartu Airport showcasing a cycle of EW operating technologies. A live COMINT & ELINT threat spectrum setting presents the threat context to current and new types of EW operational equipment. Threod Systems displays Stream C and Titan multirotor in the exhibition area. In cooperation with partner companies Milrem and Glenair a joint demonstration is being held. Threods’ Titan KX-4 LE multirotor performs ISR functions and identifies targets. Milrems’ THeMIS UGV enters the battlefield and terminates the targets. While Glenairs’ STAR-PAN™ integrated with Threods’ and Milrems’ interfaces streams live video to portable remote video terminals. This supports troops and enables interoperability of every system in the field.